Victorian Wedding – what a creative concept for a 21st century wedding! In history, the Victorian period marked a “long period of peace, prosperity, refined sensibilities and national self-confidence for Britain”. (Source: Wikipedia) When I think Victorian a few words come to mind: classic, elegant, refined, high tea & lovely china, big fancy dresses with corsets, curly hair and interesting hats and accessories. What comes to mind when you think of the Victorian period? I have always been intrigued by history and the various eras, way of life, fashion, art, religion, culture, etc that existed before my life began. It is common for people to find inspiration in history (fashion, art, culture, etc) and either replicate, creatively build upon, or re-engineer to suit modern taste and style. When it comes to weddings, we are seeing less “traditional” weddings and more creative and personalized weddings that match the style and personality of the bride and groom. Recent popular wedding style choices have been whimsical, rustic, modern,vintage, outdoor, beach, etc. So when the opportunity came my way to share and inspirational shoot for Victorian-styled wedding, I was all in! What inspired this Victorian wedding photo shoot? This photo shoot was inspired by a china plate from Plate Vintage Rentals. The color coordination of the plate was amazing and immediately gave us the idea of creating a Victorian inspired photo shoot. From the lace fabrics to the custom designed invitation suite and Victorian details this shoot was full of ideas and lots of attention to details. The venue looks amazing, where did this photo shoot take place? This photo shoot took place at the amazingly beautiful Grove Redfield Estate in Glenview Illinois. The bright colors and beautiful fireplace gave this Victorian photo shoot a cozy and romantic feel. What a lovely collaboration of creative talents and professional touches to put together this beautiful Victorian wedding inspirational photo shoot with a modern flair! What was your favorite element of this photo shoot? Would you consider a Victorian-styled wedding? What other wedding elements could you see complimenting this photo shoot (i.e. cake, favors, bridesmaid dresses, guestbook, etc)? I hope you enjoyed this photo shoot as much as I did! Please SHARE & TWEET this post with your friends, and don’t forget to PIN your favorites! Let me know if you have a creative concept for a stylized inspirational wedding photo shoot! If you have a submission, please contact me! Have you missed me? Enjoying summer? Summer is my favorite season of the year and although I’ve missed you guys, I have been having a blast and can’t believe we are half-way through summer! What is your favorite season of the year – Spring, Summer, Fall or Winter? Today, I am so excited to share with you some awesome custom designed wedding invitations & save-the-dates for every season from a lovely Etsy duo named Behold Designz! Behold Designz is very unique in that they tailor their work and designs based upon the bride’s wedding color palette and floral arrangement – how awesome is that! With feedback from the bride, they truly do a wonderful job capturing the unique elements, color palette, and style of each of their brides – all for an budget-friendly price and within a reasonable timeframe (only 6 weeks)! If you are a visual person like me, you are probably dying to see what these creative and beautifully colorful invitations look like so I won’t make you wait any longer. Here is an adorable collection for the four seasons that Behold Designz created just for me to share with my readers – you are going to love this! I have to say that this one is my favorite, I just LOVE the fall colors and the antlers! Being a nature girl that loves the natural elements, I am loving the earthy, rustic/whimsical feel with these save-the-dates and matching wedding invitation. This cool red velvet and gray invitation suite is perfect for a lovely winter wedding. Surprise your guests with this custom winter wedding invitation suite that will definitely warm their heart. 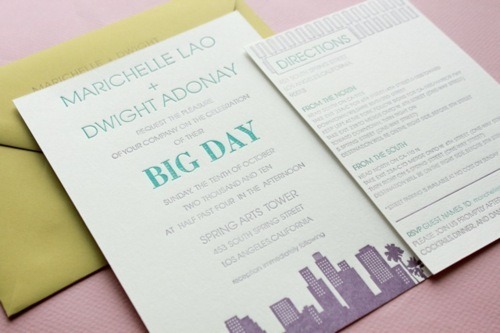 The bright, cheery, and colorful “Beloved” save-the-date would be perfect for either a Spring or Summer wedding. 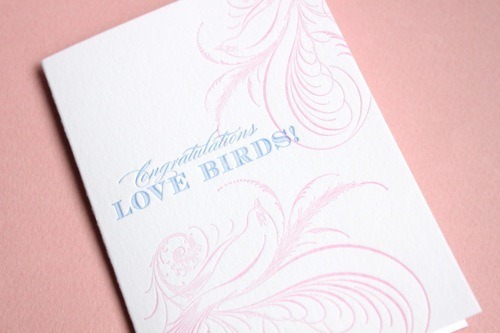 I am loving the pops of color and simplistic message of love – definitely romantic! I don’t know about you but I am loving these wedding invitations and save-the-dates that beautifully represents the four seasons of love! From the invitations above do you see how Behold Designz was able to utilize one design and tranform each invitation into something unique and creative by simply using different color palettes? 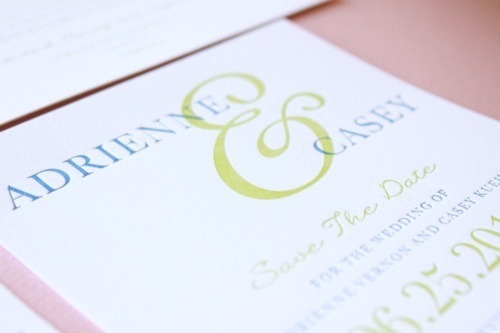 The color combinations uniquely changes the entire look of the design, which allows a bride to essentially have their own one-of-a-kind wedding invitation! 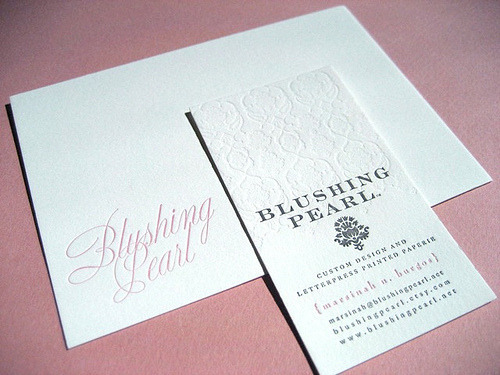 Again, this is one of the awesome things about working with Behold Designz – you get to be an integral part of the process, customizing your wedding invitation suite to match your color palette and floral selections, and having a finished product that you’ll LOVE sharing with your friends and family! 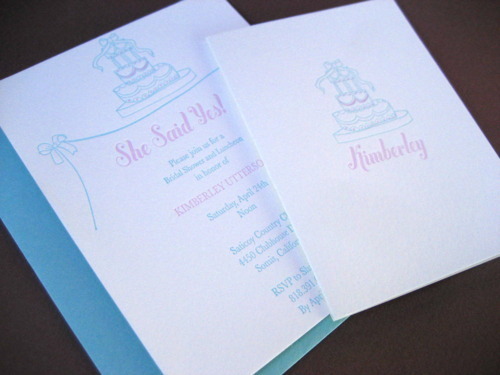 If you loved this eye-candy, please make sure you stop by Behold Designz Etsy shop and check out some of their other lovely floral wedding invitation designs or contact them for a beautiful custom wedding invitation design! After you have answered, “YES!” and all the excitement has died down, your mind becomes flooded with questions regarding the details of your wedding day. This journey to the altar that you are about to embark on requires a lot of research, decisions, planning, and money—whether you choose to hire a planner (which I highly suggest) or you decide to be a “DIY Bride & Groom”, the most important question to kick off your planning is “what is your budget?” You may already have a dollar figure in mind or an idea of what you can afford when faced with the reality of what it will actually cost to invite your closest friends and family to witness your exchange of marriage vows. If you have done any research then you know that a wedding is a major financial obligation and not a cheap one, but you don’t have to spend $20,000+ to have a beautiful wedding. I am confident that a couple can have a beautiful wedding on a budget, but it will take some sacrifice or what I like to call, “opportunity costs”, which basically means the value of what you are losing in choosing an alternative option. So how does this Economics term come into play during your wedding planning process? You and your fiancé will have to determine, what is a “must-have” that you are willing to pay more for vs. an item that you are willing to go with the basic option or forego. *Blank Stare* “Good question”, you say to yourself. First I recommend that you and your fiancé sit down and discuss two questions when it comes to your wedding budget—what would you like to spend? And, what is the absolute max amount that you can afford to spend? — This will give you a budget range to work with, which will provide some flexibility for an extra item that you may want and didn’t budget for or an unanticipated cost that may take you by surprise. You should plan for hitting your initial budget, but it’s nice to know that you have the flexibility to go beyond, if need be. WHAT IMPACTS YOUR WEDDING COSTS? Before sharing some cost-saving tips, I want to talk about one of the biggest cost driver for your wedding. Can you guess what will have the biggest impact on your wedding costs? Surprise, it’s your guest count! Your guest count will impact your budget the most because the costs of the following items are typically based per person: invitations, favors, food, drinks/cocktails, tables, linens, wedding cake/cupcakes, etc. Therefore the more guests you have the higher the costs. I know that it’s easy to want to invite all of your family, even if you haven’t seen them in 10 years, or a friend from college that you keep up with on Facebook. Your parents might even want you to invite all your cousins you have never met or their co-workers, but if they are not contributing to the wedding, you will have to take control of the guest list. If you are on a budget then you and your fiancé will want to scrutinize your guest list and determine the “must invite” guests versus the “maybes”. How do you do that? Well, start with adding close family and friends to your list. You may want to limit your list to people who you have talked to and seen within the last year, that have at least met your fiancé, close co-workers (the whole office does not need an invitation), and choose to have an adults-only wedding. Do not go for sympathy invitations, inviting people because you don’t want to hurt their feelings. Remember this is an intimate affair that you picking up the check on, so you want to be surrounded by close friends and family. (Keep in mind that not all of the guests you invite will not be able to make it, so for example if you would like a guest count of 150, then you can get away with inviting 170 guests.) Make sure to have a guest count in mind when visiting venues so that you can estimate costs. If you end up with a sizable guest count, but you are trying to stay within a tight budget, then you will likely have to sacrifice or compromise in another area to stay within budget. Besides the guest count there are several other cost-saving ways to save money on your wedding without compromising a beautiful wedding. Below I have shared 4 tips on how you can save money on your wedding. You and your fiancé will want to determine how flexible you are when it comes to the season, month, day of the week, and date that you want to get married. You can typically save some money by having a wedding during the off-peak season (typically Nov-March, varies by venue), or having a wedding during the week, Friday, or Sunday. Some venues will offer discounts for day weddings vs. evening weddings. If you have a sizeable guest list, another cost-saving option is to sacrifice location (select a venue farther out) or venue prestige (a venue that may be a little outdated or you have to spend money to decorate it) to save money and remain within budget. A lot of brides and grooms like to offer their guests cocktails during their wedding, but for most venues this is an expensive additional cost, which may send your budget overboard. A couple alternatives to a hosted bar for the entire evening is to offer a partially hosted bar (set amount of hours), cocktail hour, signature drink, non-hosted bar, or offer wine/beer with dinner and champagne for the toast. Another option is to find a venue that allows you to bring your own alcohol. These options will be dependent upon what your venue offers, but it is definitely something you should inquire about when searching for your venue. 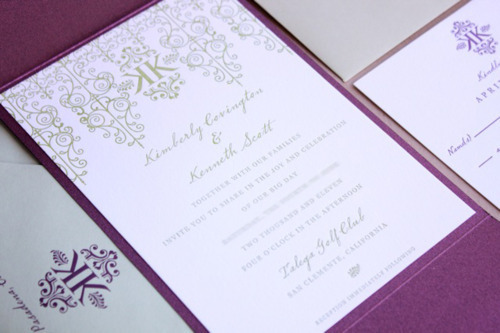 I’ve seen so many beautiful invitations that make you fall in LOVE with them, but if you are on a tight budget, you may want to cut your costs on your invitation suite. (Keep in mind that a majority of your guests may throw these in the trash, $500+ on paper to be thrown in the trash?) I recommend that you look at ETSY for invitation options. 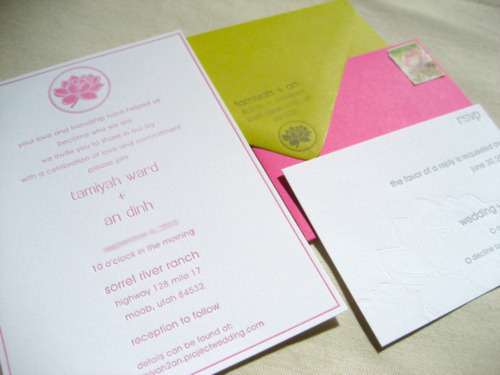 Although there are pricey invitation options on ETSY, among them you will find economical options to pay for a PDF file of the invitation suite customized with your special wedding details. The great thing about this is that you can print it on your own. You can use a company like Overnight Prints or Vista Prints (they always have print deals, plus you can sign-up to receive emails for their specials), upload your PDF and pay to have them professionally printed. For the “DIY” couple, you have the option to print them at home or go to local print shop. Another option to save on invitations is if you or one of your close friends is a crafty person, you can always make them yourself! You just want to make sure that the costs involved in making the invitations yourself is actually cheaper than purchasing them, or you have just given yourself more work that doesn’t save you money, which is the last thing you need when planning a wedding! Flowers are very popular for weddings and with good reason–they make such a beautiful statement. However, the reality is that unfortunately they die, typically only days after your wedding. Flowers are very expensive due to the materials and labor that goes into making the beautiful finished product. Instead of spending thousands of dollars on centerpieces, do some research (online or in a magazine), find a few centerpieces & bouquets that you like, then find a local florist/floral shop and see what they would charge to make something similar—make sure you give them an idea of what budget you are working with for flowers. (When looking for a florist, keep in mind that there is a good chance that a floral vendor that you see on TV or is widely known is probably very expensive—you are paying a markup for their brand and prestige. It doesn’t hurt to reach out to them, advising of your budget and seeing if they can work with you–just don’t be disappointed if it doesn’t work out.) During your consultation ask the florist to advise which flowers will be available around your wedding date that fit within your color scheme as well as cheaper alternatives, if available. If you are flexible with your flower options, you can definitely save money. Another cost-saving idea is to use flower alternatives such as fillers, succulents, plants & herbs, candles, or something that combines minimal flowers along with fruit, stones, sand, or any of the other flower alternatives mentioned. You can find a lot of inspiration by searching Google, Pinterest, and wedding blogs. During the wedding planning process, the important thing is to have a plan and some flexibility when planning your wedding. Know what you want and must-have versus what you are willing to sacrifice and scale back on. Be realistic and honest with yourselves–the beautiful weddings you see in magazines and on blogs cost money–you may not be able to get everything that you want if you are working on a tight budget. Make sure that you keep track of every expense and use a budget worksheet to forecast your spending. If you have a wedding planner, it is important to communicate your priorities. Research is the key to knowing your options and alternatives, as well as knowing if you are getting a reasonable price from a particular vendor. Also, don’t expect to haggle vendors down to the bare minimum, there may be room for negotiation but that is not the case for everyone. Just as you work for a living, these vendors have to make a living too by charging according to their vested interest and time. Lastly, an important thing to remember is that you do not want to sacrifice quality for cost, just because it is cheap doesn’t mean that it is the best option for you. The journey to the altar that you are about to embark on will require money, time, decisions, research, and can be stressful. It is important for you to remember that this journey to the altar is just a stepping stone to what is ahead and what is important, which is the exchange of your wedding vows and the life that you two will create together going forward. The little details–navy vs turquoise napkins, steak vs chicken, cake vs cupcakes, etc–do not matter in the grand scheme of things. Work together as a team and have fun in reaching your ultimate goal: marriage! Recently the Chevron-styled weddings have jumped into popularity, so I thought I would showcase some FABULOUS Chevron wedding invitations and decor finds from Etsy. Excited for some Chevron “Eye Candy”?! Chevron Navy Clutch--Perfect gift for your Bridesmaids! Chevron Waterproof Picnic Blanket--This would be a great gift! I really had fun finding these Etsy goodies to share with you and I have to admit that it was so easy to do since this design style is so popular right now. I think I may even do a part two in the future! So, what did you think of these Chevron finds? Which one(s) are your favorite(s)? Are you having Chevron wedding?